Returning home is a common subject in literature, especially in fantasy or epic genres. These stories are often compelling and exciting. We love to read about the wonderful landscapes these characters encounter along their way, the magnificent creatures and the great thrills they must surpass. We long for the excitement of a great adventure. At the end, these characters may succeed returning to their homes. The premise often involves a main character who goes on an adventure - by his choice or not - and, along the journey, feels a strong desire of returning home. In “The Lord of the Rings”, Frodo and the other hobbits long for their beloved Shire. In Homer’s “Odyssey”, Odysseus (or Ulysses) struggles to get home. But what does one expect when returning home? Why is there such a need to return to our places? We may say it can be because of the people we love live there. Or perhaps because everything we possess is there: our belongings, our small treasures, our memories. Or maybe it is because we know we have changed so much that we feel we need to come back to that small piece of ourselves we lost along the way. And how do we call this feeling exactly? I grew up in a small city. As many cities in the interior of my country, it was a quiet place, surrounded by mountains and crossed by a river. There weren’t many big stores, theaters or shopping malls. There was no university there, so everyone who wished to continue their studies had to move by the time they were eighteen years old. I always knew that day would come, so I accepted that easily. Many people of my age were eager to leave; after all, my hometown was too small, too “slow paced” for a teenager who wished to travel around the world and see and experience new things. I chose to study in Lisbon, the vibrant capital and its sunny weather, so different from the cold and misty winters I had spent in my hometown. 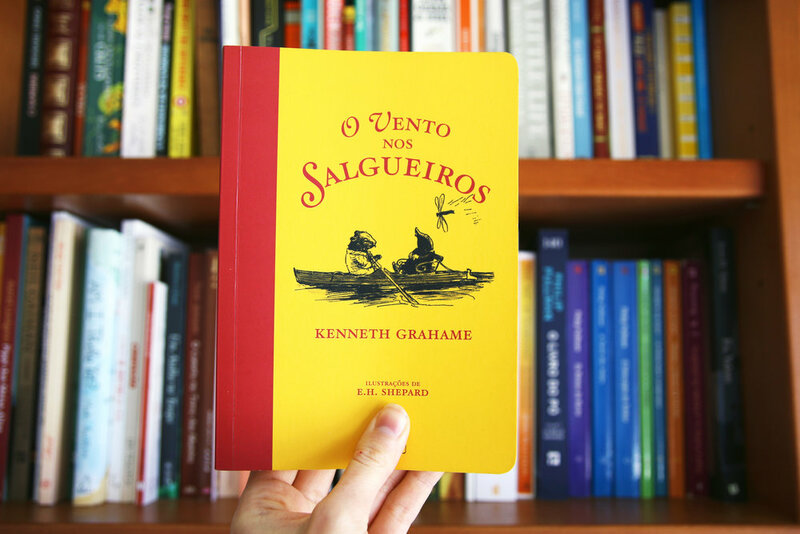 I would often walk through the crowded streets and admire the small bookstores, the beautiful golden light spreading through the Tejo river. I spent a lot of time taking pictures; in fact, many of my favorite pictures were taken there. Whenever I had the chance, I would explore flea markets, listen to new music or take a walk in one of my favorite gardens. But sometimes, amongst the warm and soft breeze, a feeling would surprise me. I have this memory of leaving a bus and being hit by that breeze. I remember smelling something smoky, turning around and watching the big blue sky, the white clouds and the sun setting down on the backdrop of the tall city buildings. It was the smell of my hometown. My eyes were seeing the same sky I saw there. I pictured myself there. I have read some important books about returning home. Some of them, like Kundera’s “Ignorance” which deals with emigration and the impossibility of coming back home, are of undeniable importance, but for now, I’d like to focus on a particular book which I’ve valued over the last few years. Mole felt a strong desire to see his home again. When I read this passage, I pictured myself as this character; I saw myself freezing still in those noisy streets, my body responding to a memory I thought lost. After reading this paragraph, I felt tears rolling down my face. As a soft stream of a river during spring, I felt I had finally found the words I had been longing for so many years. In addition to missing a place where I grew up, I realized I also missed a part of me. The hopeful me, the ingenuous me. A part of me who loved to wander in the streets with a feeling of permanent fascination by everything. I remembered how I spent hours in my favorite garden looking at the trees, capturing sights that would stay in my mind and that I’d transform years later in photographs. I remembered the scent of fresh bread in my grandparent’s house, the way the sunlight would start flooding the old dining room in the wee hours of the morning. I remembered the shape of the clouds rolling over the mountains, the conversations and plans set in my teenager years and the frustrations that taught me the meaning of grit. I remembered the unending rainy months that felt like a battle for the sun’s blessing. I remembered the first time I felt the smell of petrichor coming from my backyard, so intense that I thought it would never leave my skin. I think the greatness of these stories is that they show us some important things for us, humans. We may love the excitement of something new. Everything we encounter on our way helps us to build our characters; this is the reason why Frodo could never be the same when he returned to the Shire. I often picture myself - my life - as a book, whose pages I tear up and then set free in their one place in time. Coming back home means finding some of those pages spread in the corners of remembrance and realizing a part of me is immutable. They remind me that I should not forget the one I was, the one I’m not anymore, the one that survives inside me. It’s not a matter of not allowing oneself to change or abandoning who you once were – it’s the courage to rediscover ourselves at every instant. Because you can’t abandon something that helped you becoming who you are, even if they are just memories.